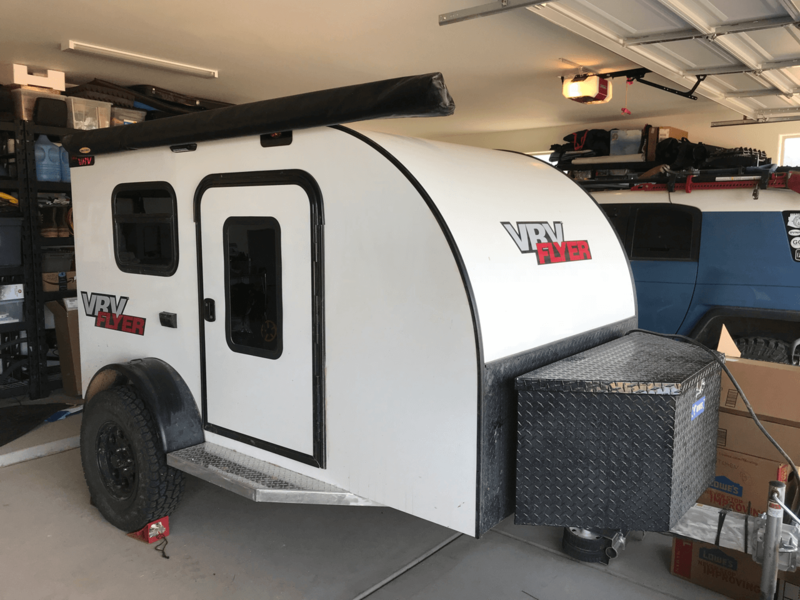 Here's an update with photos showing all the things we have done to our VRV Flyer trailer. If by chance you haven't read our intro article about the VRV Flyer here it is. 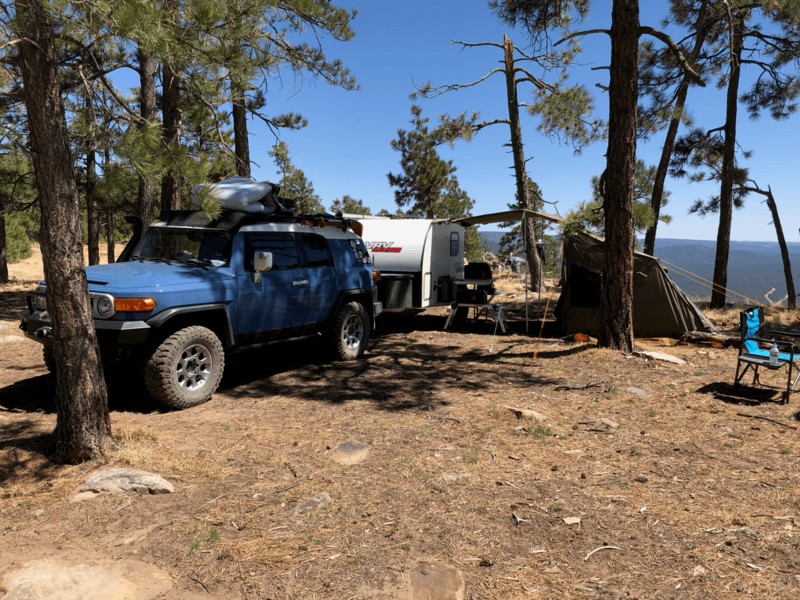 With the accumulation of a lot of different camping gear over the last 5 years I am always trying to re-use things we already own and see how many ways I can make them multi-purpose. 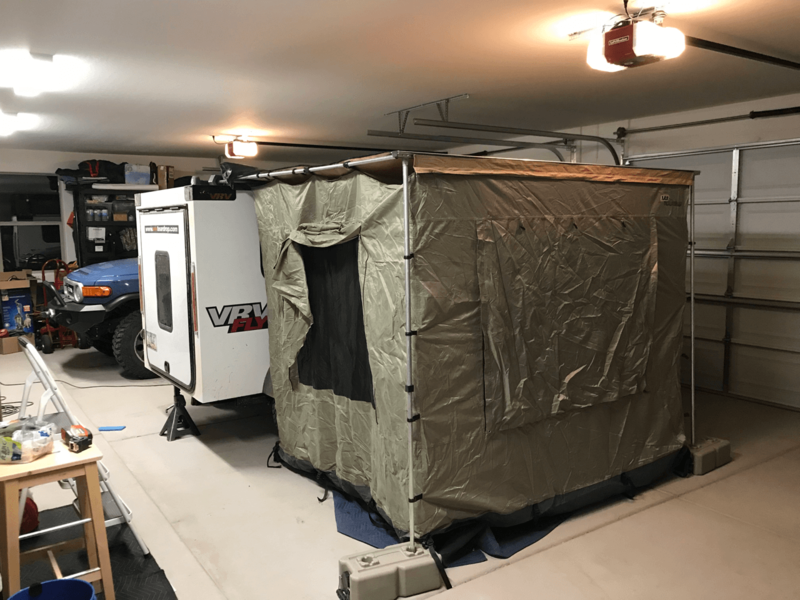 Most trips we take the trailer but for those that we don't we have a very nice OZ Tent RV-5 Tent. 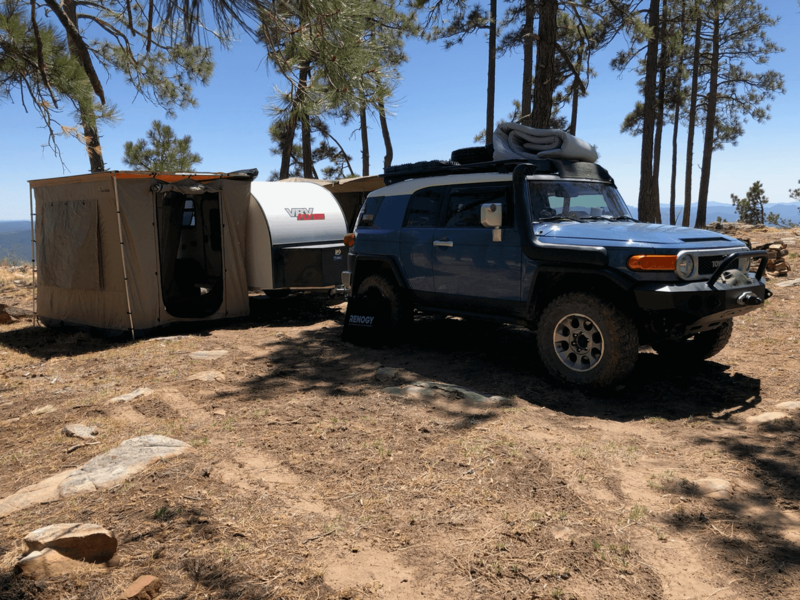 Our 2011 FJ Cruiser used to have a straight awning attached to the passenger side of the vehicle. This has now been moved to the trailer. It will see more use there plus the add-on room is a great addition to the trailer. We really like the convenience of having a stand up area on the side. It can be used as a heated room, a place for the dogs to hang out, a changing room, and whatever else we can think of. 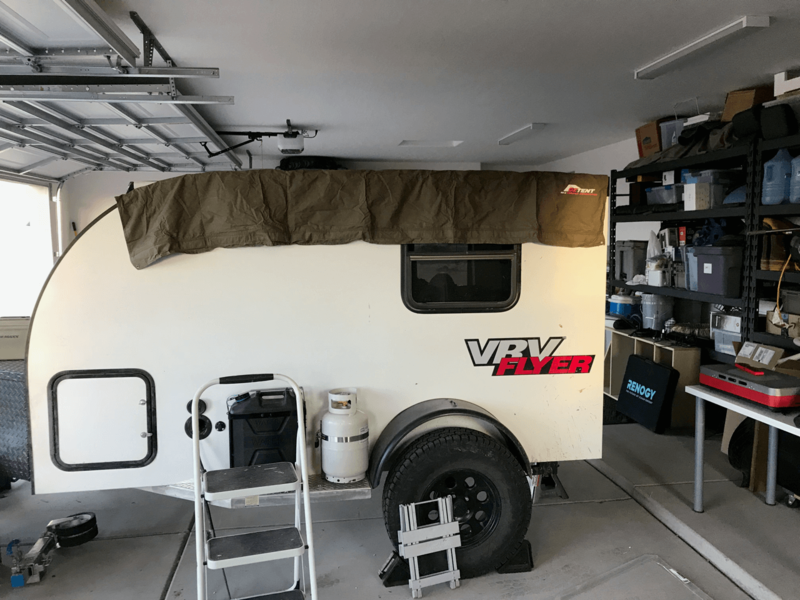 I also added the ability to attach our RV-5 tent to the driver side of the trailer. While this will be used on rare occasions it is a great addition when we have friends who want to join us on our adventures but may lack a quality tent. Why not take advantage of the guy who is known, for better or worse, for having 3 of everything! 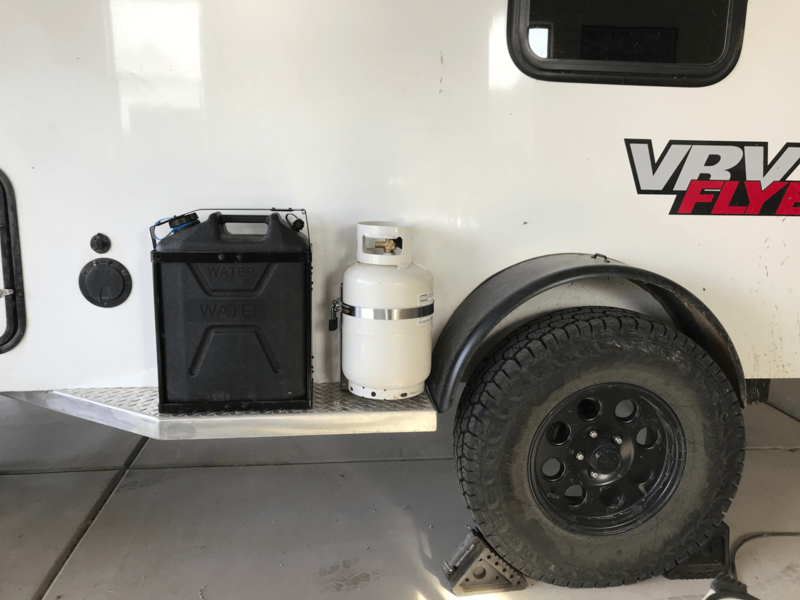 We added a Jerry Can holder and a 11lb propane tank holder. The driver side of our trailer is being setup as the kitchen area. 11lb Propane tank sourced from Home Depot Online. Mounts from Amazon. 2500x2100 Awning. Forward placement is required for the awning room door opening to work. 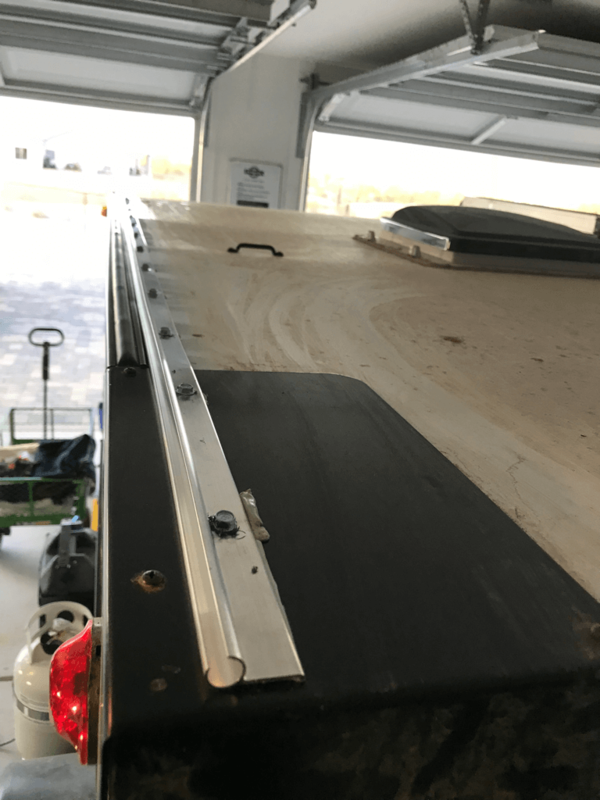 This rail is used with the OZ Tent Caravan Connector which allows you to connect your built in OZ Tent awning to a vehicle. Sourced online for about $20. There are plastic versions as well but I have found the "awnings" don't slide as well into place on the plastic ones. 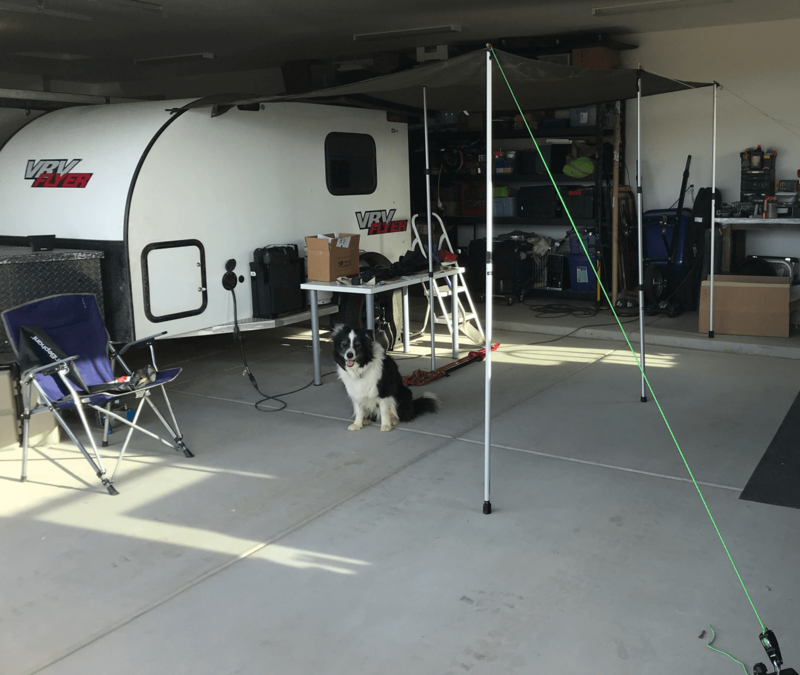 The connector can also be used with a Foxwing tapered panel to create an awning. Jet approved! This is a Foxwing Tapered Wall repurposed as a awning with additional poles for height. Putting it all together for an extreme glamping setup. This could sleep 7 people. 3 in the OZ tent, 2 in the VRV Flyer, and 2 in the ARB room. If you have kids 4-5 kids could pack into the OZ Tent. 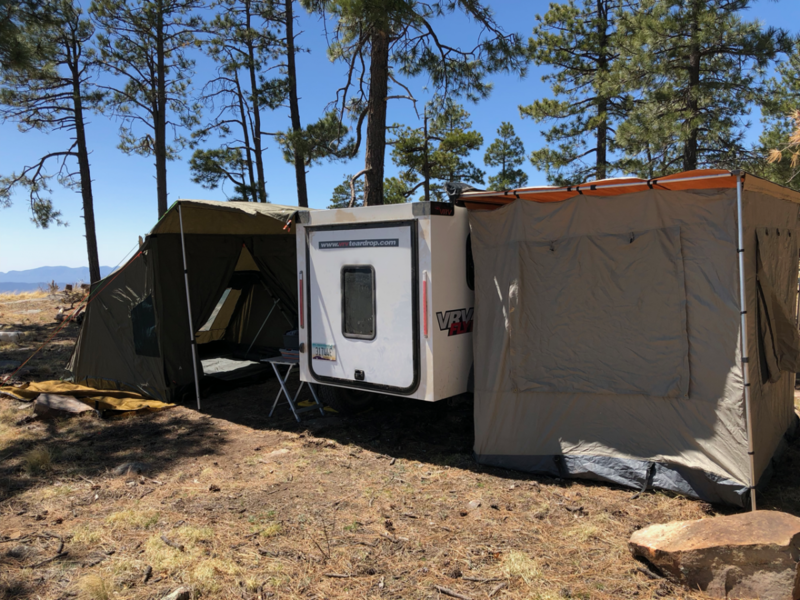 Just a fun experiment deploying everything on a nice day on the Mogollan Rim, AZ. As big as this setup is I was able to tear down and pack up everything solo in just under an hour. Awning Rail: There are many sources with a few different options. This is just one. Butyl tape is used for each drill hole to seal the roof. 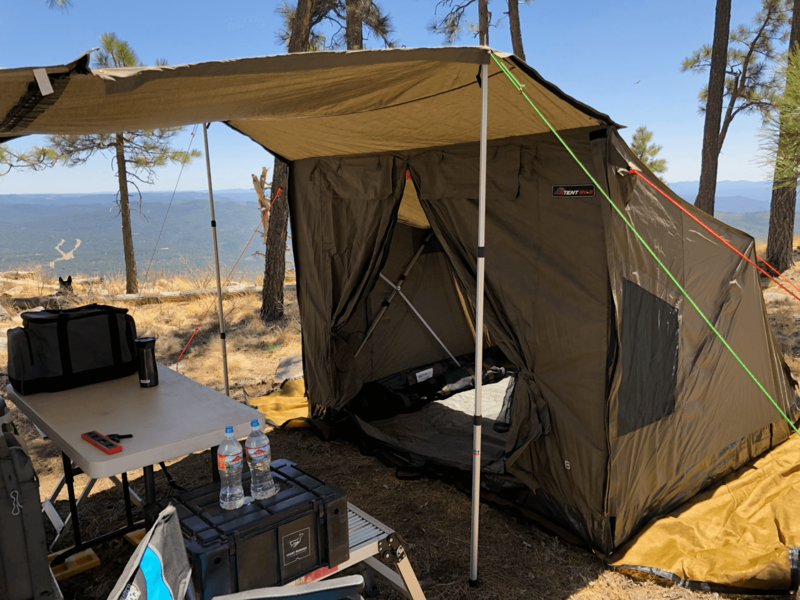 OZ Tent RV-5: Rugged tent with 30 second setup and 5 minute teardown. Caravan Connector: This works great with the OZ Tent and our DIY awning the zipper on the Foxwing tapered panel is compatible with this. Green Ropes - We use this in conjunction with rope ratchets for quick secure setups. Buying through these links via Amazon pays us a small fee.